The Normal Street Promenade project, which calls for a pedestrian thoroughfare stretching through one of the most popular areas of Hillcrest, is getting two thumbs up from city planners. 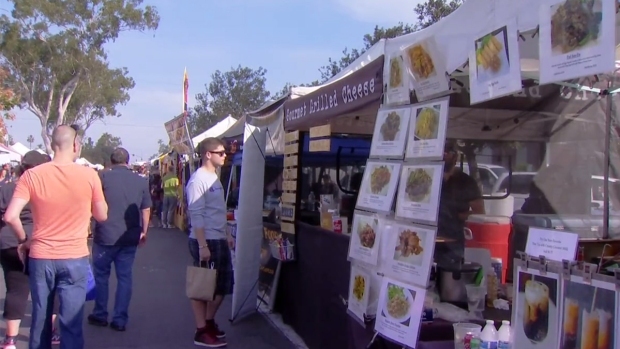 The plan aims to turn the area along Normal Street between University Avenue and Washington Street into a public space that will accommodate the weekly Hillcrest Farmers Market, San Diego Pride Festival and other community events. 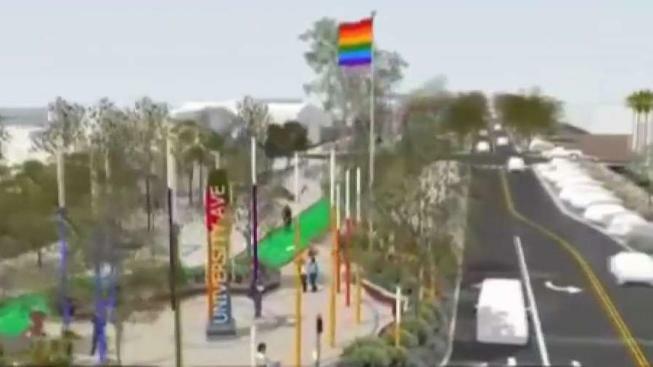 New pedestrian and bike lanes would replace a stretch of westbound lanes of Normal Street near the iconic Pride flag. The project was approved by the Uptown Community Parking District by a 10-1 vote Tuesday night. The parking district and the city are committing a combined $2.2 million to the neighborhood revamp, and are promising more money if it’s needed. The funding was approved by SANDAG in December. The project will make it friendlier for bikers, scooters and walkers. NBC 7's Megan Tevrizian has more. The Uptown Planners, working with the Hillcrest Business Association, designed the Normal Street Promenade project. While plenty of San Diegans are for the project, business owners in the area say it would do more harm than good. The project will create 70 more spaces two blocks down the road between Washington Street and Lincoln Avenue, but business owners in the immediate area, like Moda Hair Designs owner BJ Noman, say the addition won’t help them. Noman tells NBC 7 he recently moved his salon from a parking-stricken block of Sixth Street to a strip mall at the corner of Normal Street and University Avenue equipped with a shared parking lot. The proposed Normal Street facelift will eliminate parking spots along Normal Street between University Avenue and Lincoln Avenues and Noman fears people looking for a place to park will fill his lot. "Where are they gonna park?” he asked. “They’re gonna come this way, the most convenient way where it's free parking." The project will also take away the second entrance to his businesses’ parking lot, which he also fears will impact his bottom line. "If you don't have two entrances, you’re gonna lose business,” he said. Dr. Darren Farnessi says he'll lose one-third of the parking spaces on his block. "When you reduce it, everybody is competing for less parking,” he says – a situation that will surely cause stress for patients headed to his office. There is also growing concern the open street space will attract homeless encampments, which is a problem residents and business owners are already dealing with. "Pretty much everyone I've talked to is all for the idea, we would just like to have a place at the design table so we could minimize the negative impact,” Farnessi said. The total cost of the project is estimated at $5 million. The Uptown Planners’ vote was necessary to the process but is only a recommendation to move forward. SANDAG and the city have already given the green light to the project.